Homeschooling: that word that causes moms to tremble in fear. Are you contemplating educating your children at home but are feeling inadequate and scared out of your mind. Stress-free homeschooling: take a deep breath and relax. 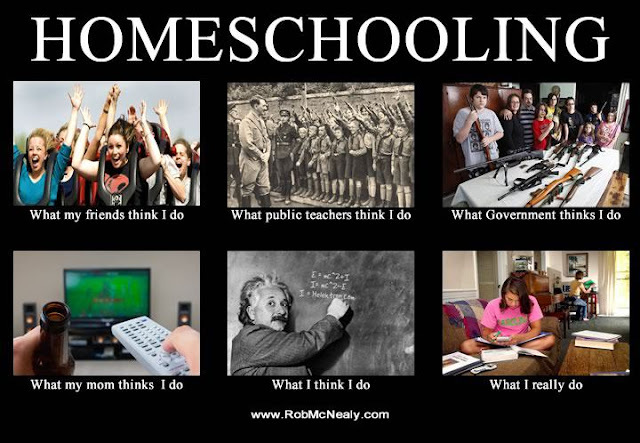 Every homeschooling mother has felt just like you do. Educating your children at home can be simple, no-mess, and fun! When God laid it on my heart to teach my own children, I had one supporter, my friend Dawn. Even my husband thought the idea was ridiculous. I was pretty much on my own and was considered a pioneer in home education. 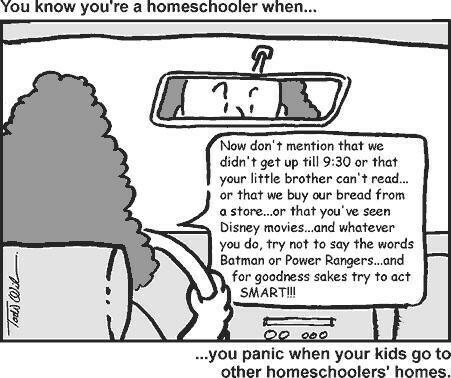 At the time I only knew two families who had homeschooled, and even I thought they were just a little crazy and out to lunch. Finally, I convinced my husband to let me try for a year, and we would take it one year at a time after that. I am not a teacher. I promise you, teaching and lesson planning is about as fun to me as getting my teeth pulled out. If you love lesson planning and spending hours preparing curriculum, this post is NOT for you. Today I will be talking to the mom who feels inadequate and fearful of this journey, that could instead be more relaxed and enjoyable. Did you know public school teachers usually get their class halfway through their textbooks each year? So first off, our goal is NOT to complete the books but to LEARN. Your home classroom does not need to run from 9-3. Desks are not needed to produce brilliant children, the kitchen table will accomplish this task along with genetics. School can be done in four slightly longer days so mama can have a three-day happiness break. You never have to teach Science from grade 1-8, unless you really want to. School is not an option each day, it is mandatory. How Was Our School Unique? Our kids learned to initially read with: Sing, Spell Read and Write. I taught my children to read, with no prior knowledge of teaching reading. This is a very simple and non-intimidating curriculum for moms and kids. ✏ Writing: Up to grade four the children learned cursive writing, copy work and how to write short stories. Grade five- eight, they would write a page each day of stories, book reports, news, or essays. ✏ Spelling: The words they had spelled wrong in their stories were the spelling words for the day. *the more a child reads the better they spell. *My husband Vance took over math in grade nine, for the two older kids who didn’t go to public high school until grade 10 & 11. After our first-year of home education, Vance became my biggest cheerleader. ✏ Science: Sadly folks, this mama grew up hating science, and I didn’t teach my kids a stitch of it through public school. When our teens went to a public high school, which subject do you think a couple of our kids had the highest grades in…Science. One of our children graduated university with an Exercise Science degree. To excel in Science, you need to be excellent in reading, writing, and arithmetic. These are the foundations to learning any subject. When my fifth child, Eythan, was in grade two, we started his education. Yep, call me crazy, but this mother was too busy educating the older kids. Dr. James Dobson, who owned, Focus on The Family, at the time had talked about waiting to teach busy, active little boys when they were older. We decided to try his advice. By the time Eythan was done grade three, he was completely caught up to his peers. Teaching him the alphabet, reading and math were a breeze, since his brain was much older and more developed than it would have been at age four. Our children were out of style until they were in high school. There was no one to impress, and little money was spent on clothing due to them not really caring. I loved this about schooling at home. Our kids were used to hanging out with kids of all ages in our homeschool co-op. This caused them to be able to socialize with many different age groups instead of just kids their exact age. We carried a giant laundry basket to the library each week and filled it with books. Sometimes it took two people to carry it. 💗 The kid’s education would start at age eight unless they asked for schooling earlier. 💗 I would worry less and enjoy having my kids at home more. 💗 I would stop comparing myself to the moms who did fancy curriculums. If mama ain’t happy, ain’t no one happy. Pick a curriculum that mama enjoys teaching. 💗 Home education is not for everyone. I made many women feel guilty over not educating their kids at home. I am not God or the Holy Spirit. The Good Lord can lay it on a mother’s heart to send her kids to school or educate at home. He chooses what’s best for each family. 💗 Some of our children studied high school at home, for part of the way. I would have sent them all by grade nine. Going to high school helps break a teenager into the world and also taught them to meet the expectations of different teachers. What Happen To My Kids? Aryanna- age 22- My darling daughter is a physiotherapy assistant in a nursing home and gets marriage proposals each week. She travels about 45 min each way for her job but loves her work despite the long commute. Devyn-age 25- From the time Devyn was young he loved small children. He spends his days working at a Christian daycare. Although this is not an easy job, it’s rewarding especially when children tell Devyn they love him. Even though some of our kids had the brains to be lawyers or doctors, we encouraged them to choose a field they were passionate about. If our children are working at a job that makes them rich, but unhappy, they are missing out on one of the joys of life. Relax, relax, and then relax some more. Take a deep breath. This is not a sprint, it’s a marathon. You have lots of room for mistakes and retries. You will go by trial and error, just like every other mom who educated at home. The truth is, there will be stress involved in home education, but it doesn’t have to be as hard as you think it will be. It gets easier as you go. Give yourself a couple of months to get into a smooth schedule and adjust to being a new teacher. Even students who graduate with a teaching degree are as nervous as you are, about teaching their first class. I hope this post helped alleviate some of your fears and anxiety over teaching your kids at home. Or maybe it assisted you in deciding to send your kids to public school. No matter what you choose for your child, as long as you are a loving and devoted mother, your children will follow your example and hopefully turn out fantastic! Education is more than feeding the brain information: it’s also sowing seeds of kindness, compassion, patience and hard work into a child. These traits will carry them farther than a fancy education.